Sleek black looks, ease of operation. No real criticisms to mention. Black solo microwaves are fairly common - there are multiple models on the market from the majority of manufacturers. Elgento's offering is the E24002 - a good-looking yet inexpensive and glossy black microwave for those on a budget. Inside you'll find a sizable 17 litre volume, which when combined with the low price tag and 700w power, offers pretty good value indeed. Controlling proceedings via the dual dial system is simplicity itself - no need to even glance at the instruction manual. In use, it works very well, cooking food effectively, quickly and safely. 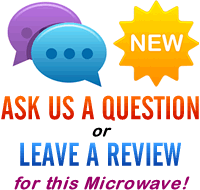 So would we recommend the Elgento E24002 solo microwave to our readers? Good value, well designed and a decent performer - it cooks well and is also easy to operate. 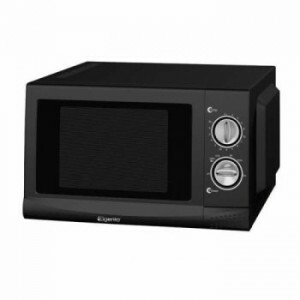 If you're looking for a cheap black microwave, the Elgento E24002 is well worth considering.